The BITBOX exchange opened its doors for business recently. It trades in about thirty of the major currencies, including Bitcoin (BTC), Ethereum (ETH), Bitcoin Cash (BCH), and Litecoin (LTC). The fairly limited number is due to the fact that all cryptocurrencies allowed on the exchange pass a rigorous review by a committee of experts before inclusion. Transactions occur only from one crypto to another – no fiat gateways exist on the site. BITBOX charges a 0.1% trading fee. The exchange does business in about 15 different languages, but it currently excludes customers from Japan and the United States. Moreover, the site excludes the Japanese and Thai languages, although English and Korean receive support. The company intends to adhere scrupulously to all laws and regulations of each country, and consequently, provide service to Japan and the United States after receiving regulatory approval to do so. In the meantime, the website rejects customers if IP addresses, telephone numbers, or KYC (Know Your Customer) data show them to be from excluded markets. BITBOX stems from LINE Corporation (“LINE”). A Japanese corporation headquartered in Tokyo, LINE established itself with its flagship messaging app. Released in 2011, the messaging app reached 200 million users within six months. By 2013, LINE achieved the status of being Japan’s largest social network. Within LINE exists the LVC Corporation (“LVC”), and this group holds the responsibility for the cryptocurrency and blockchain businesses. And as part of this effort, LINE Tech Plus PTE. LTD. in Singapore runs the BITBOX business. The BITBOX exchange fits into LINE’s long-term strategy to become a leading provider of FinTech services. And being a publicly traded company, rather than a private one, provides performance information of the organization transparently to the public. LINE has already found success with other FinTech products. LINE Pay launched as a mobile wallet. Over 40 million users have spent over $4 million dollars using the wallet. LINE also partnered with Nomura on a joint venture involving online brokerage and investment consultation. Having built a successful messaging app business gives LINE advantages in creating the BITBOX exchange. Messaging apps require user interfaces (UI) that yield good user experiences (UX). And cryptocurrency software sorely needs good UI/UX. Messaging apps also require strong user security. And similarly, crypto exchanges require strong user security. To enhance security on BITBOX, the system utilizes BitGo multi-signature technology. BitGo uses a multi-signature, three key algorithm that removes any possibility of a single point of failure. BITBOX also implements a 24-hour surveillance system to protect customers, and up to 90% of users’ assets will be secured in cold storage. The system attaches to LINE’s messaging app, so both users and executives receive notice immediately should a hack occur. 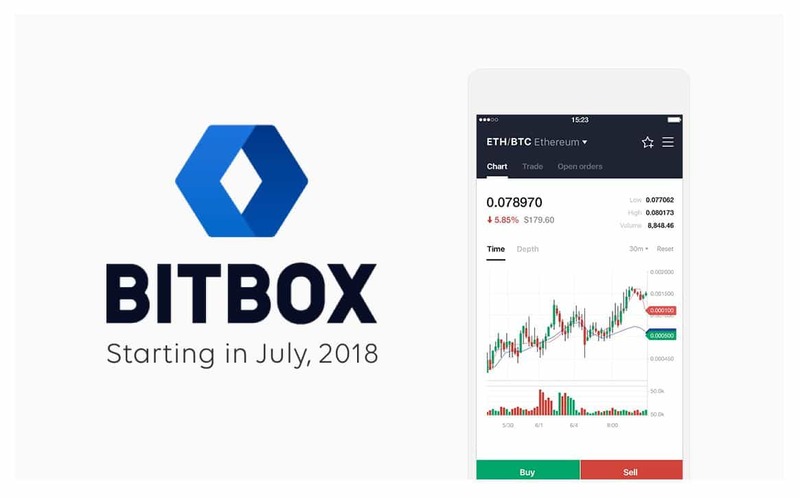 Additionally, BITBOX monitors any irregular trades or attempts to manipulate coin prices. And as a final safeguard, users receive insurance for their assets. Utilizing its knowledge of mobile programming gained from its messaging app, BITBOX will release a mobile app for its exchange as well. Along with the launch of the BITBOX crypto exchange, LINE introduces the LINK cryptocurrency. Subsequently, the BITBOX exchange serves as the exclusive provider of the LINK cryptocurrency. A reward system provides one use for the LINK coins. Users of a wide variety of LINE products and services earn LINK just by using those products and services. To support this coin and its infrastructure, the organization created a new blockchain called LINK Chain. This allows seamless integration of all related decentralized apps. In adhering to all national rules and regulations, LINK Point serves as the token instead of LINK for residents of Japan. Unlike LINK, LINK Point cannot be traded or exchanged until after receiving official regulatory authorization. LINK Point only provides a mechanism for customer reward points at this time. LINK does not yet appear on CoinMarketCap. Additionally, LINK will not be distributed through an ICO (Initial Coin Offering). The fundamental purpose remains to simply provide customers of the LINE products with a mechanism for customer rewards. LINK will not hold an ICO. Although LINE exists as a Japanese corporation headquartered in Tokyo, the executives chose to establish BITBOX as a Singapore company. The Republic of Singapore reigns as a leading destination for cryptocurrency companies. Many of the world’s largest crypto exchanges operate with some presence in Singapore. These include the American exchange Coinbase, GDAX, and Gemini as well, which has a local branch in Singapore. In addition, the FSA-licensed Quoine has an office there as well. Some exchanges that are local to the city-state of Singapore include Crypto-One-Stop-Solution (COSS) and CoinHako. Singapore provides a global financial hub having achieved the status of being the third largest foreign exchange center, and it earned the reputation as a haven for ICOs. Some of the ICOs launched in Singapore include TenX, Golem, and Qtum. Although the government shows a liberal attitude toward cryptocurrencies and ICOs, strong regulations exist to protect people from fraud and the possibility of money laundering. Consequently, it’s easy to see why LINE chose to locate its BITBOX exchange in the Republic of Singapore. A multitude of crypto exchanges exist for users to trade coins, some better than others. But even good exchanges often suffer from issues like poor user interface and user experience (UI/UX). LINE gained valuable expertise in creating a successful messaging app. And they also demonstrated proven success with their other FinTech ventures. This gives hope that BITBOX will provide an opportunity to see a crypto exchange that further satisfies users.